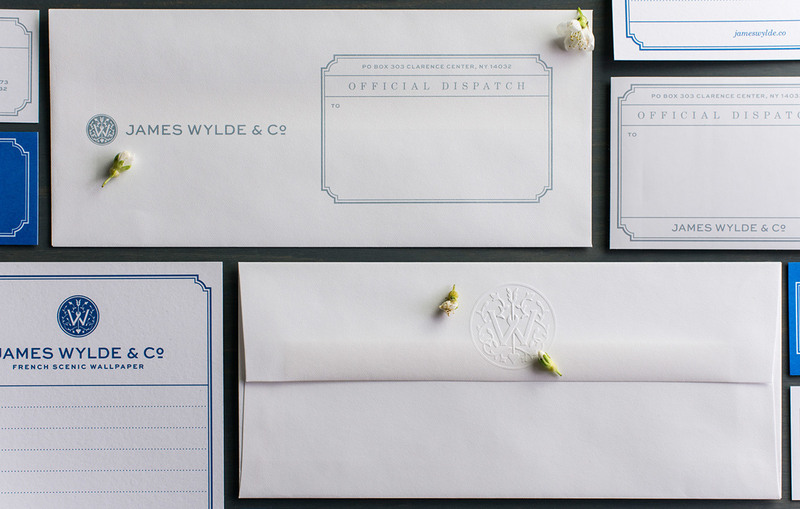 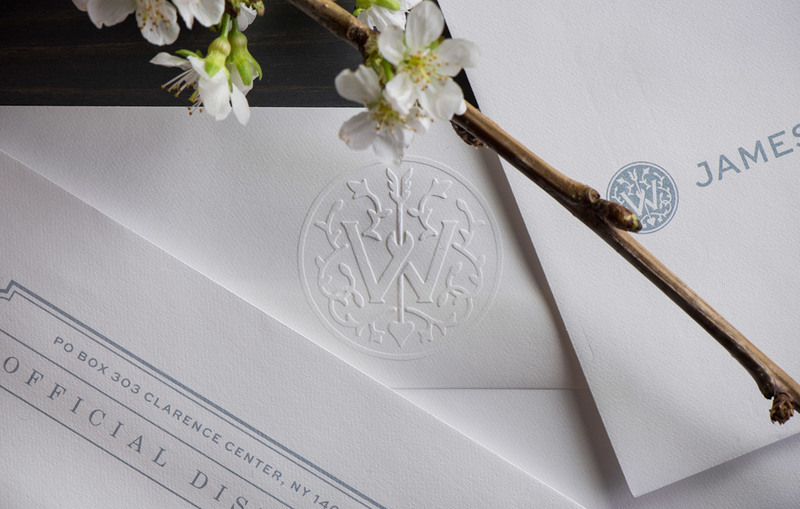 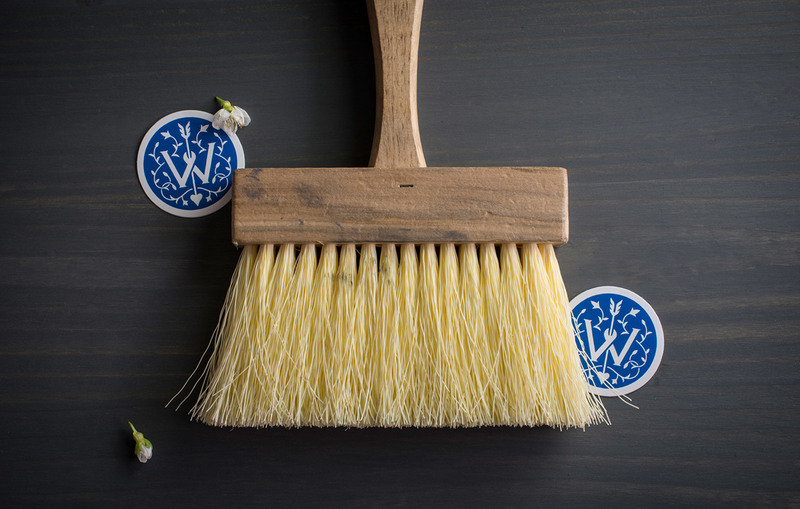 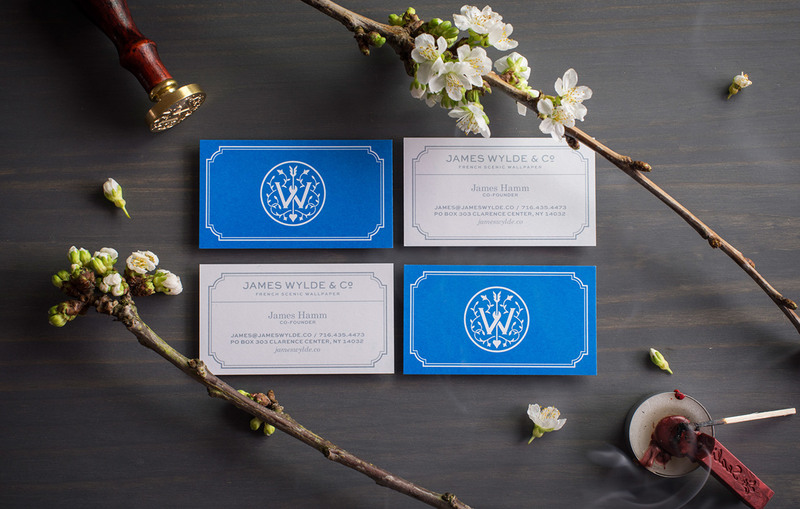 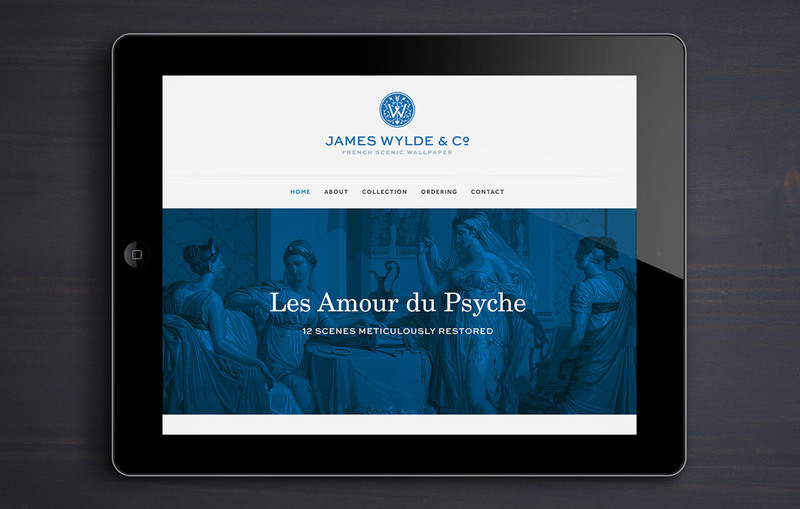 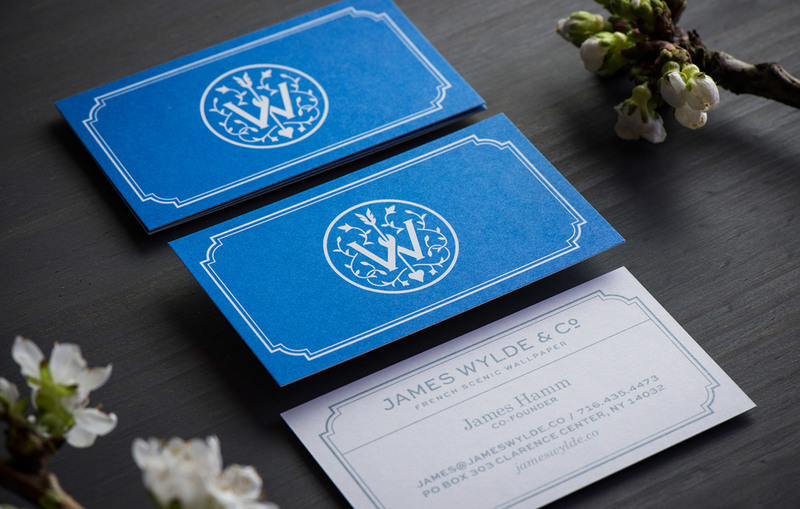 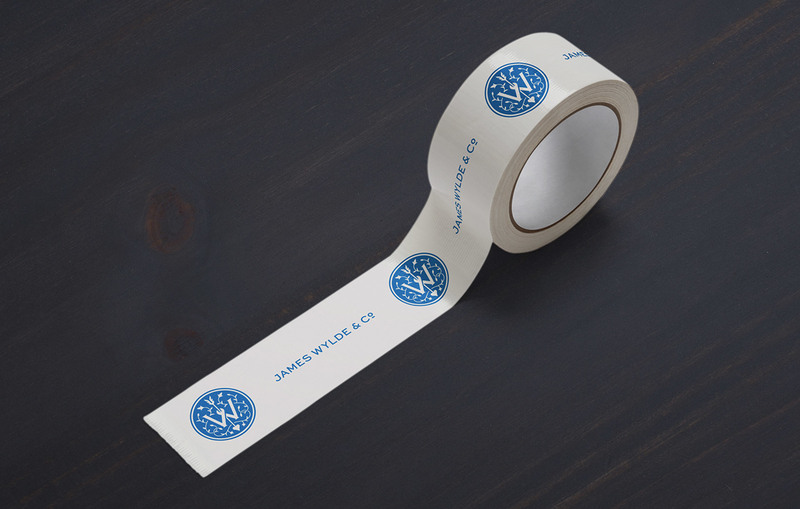 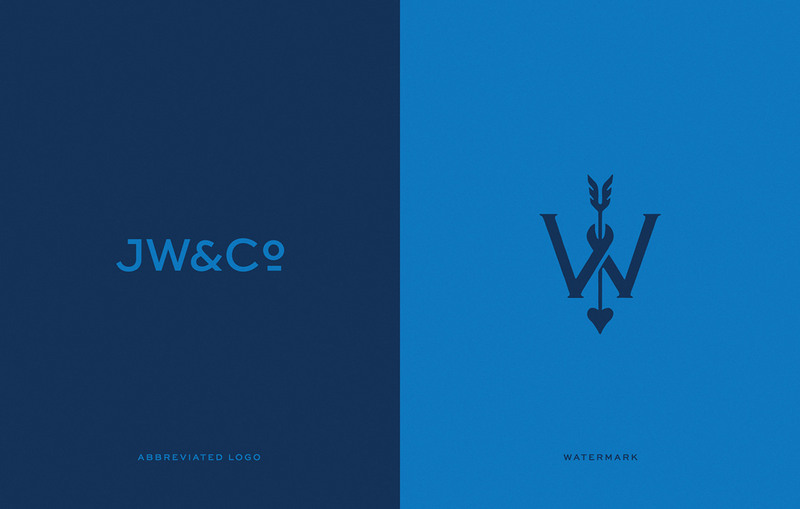 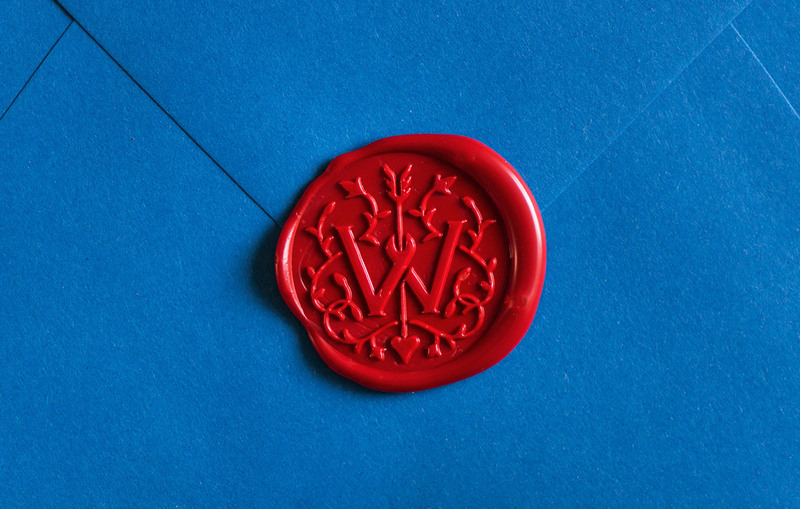 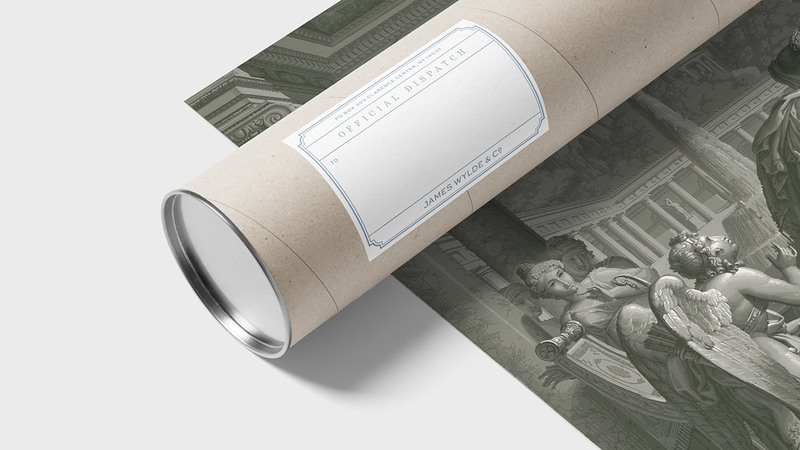 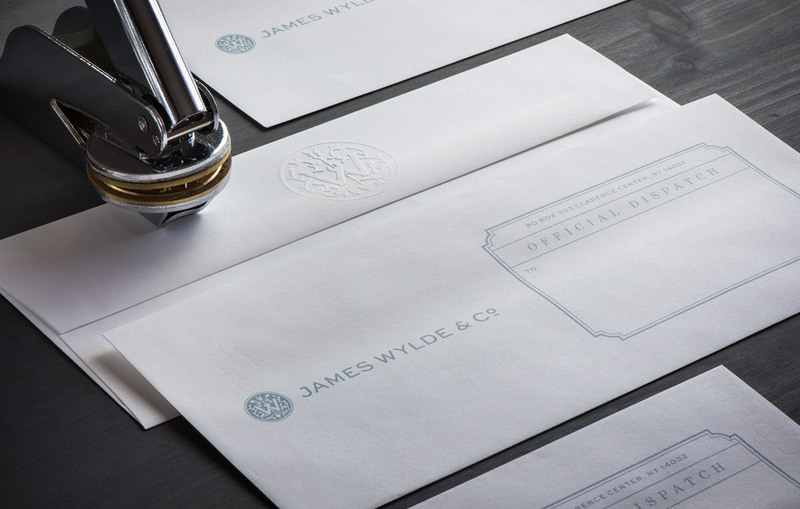 Client: James Wylde & Co. 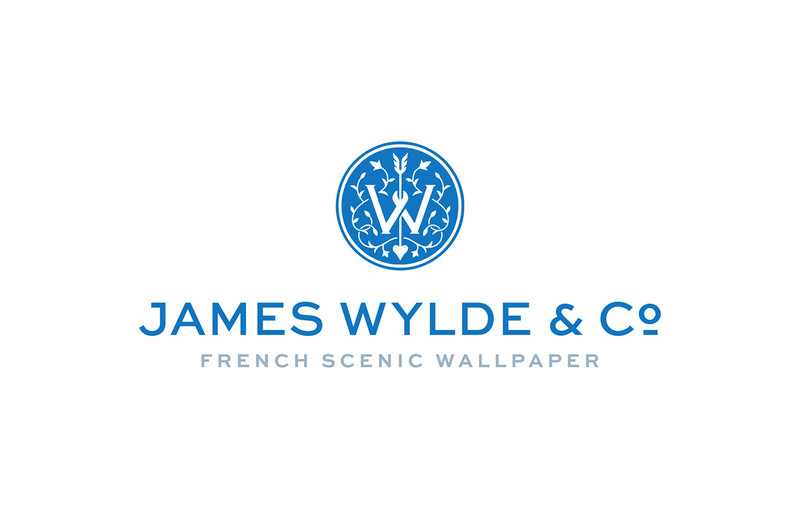 Purveyors of the Finest Antique Wallpapers James Wylde & Co. is dedicated to the preservation of French Scenic Wallpapers, many of which are slowly vanishing from historic homes throughout Europe and the United States. 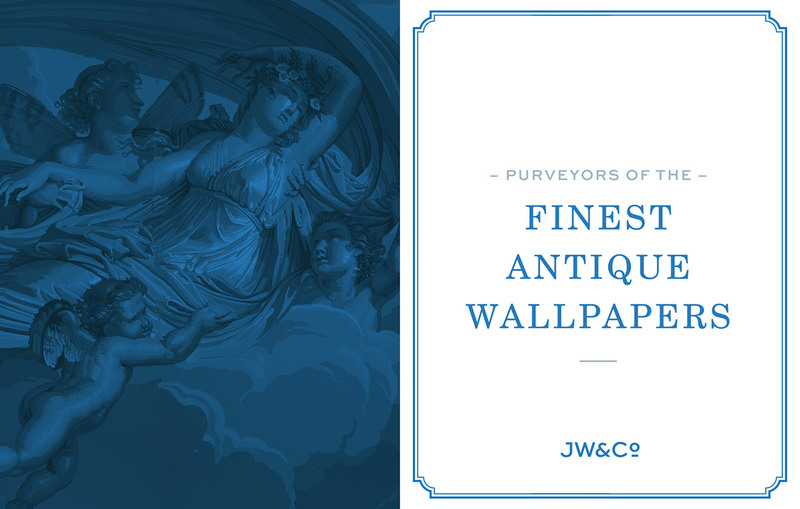 By restoring these antique wallpapers and making them available as high-quality, full-size digital reproductions, James Wylde & Co. ensures that they will continue to be appreciated for generations to come. 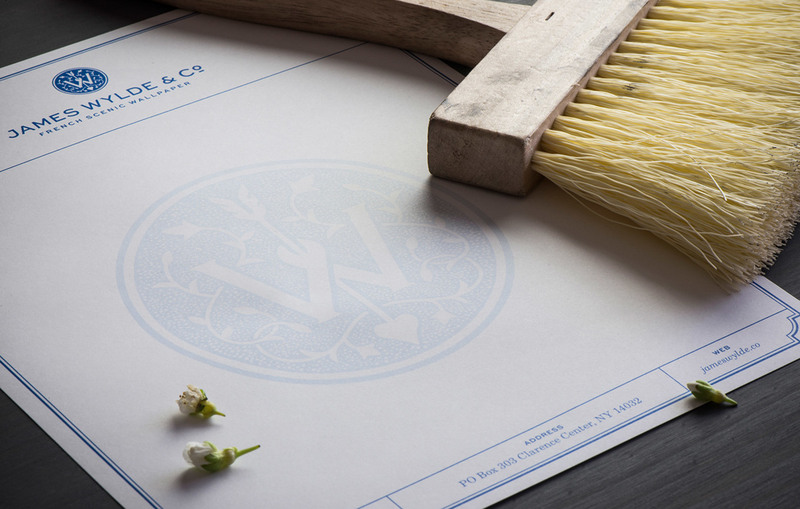 The monogram is inspired by the company’s signature wallpaper set “Les Amour du Psyche” (otherwise known as “Cupid & Psyche”). 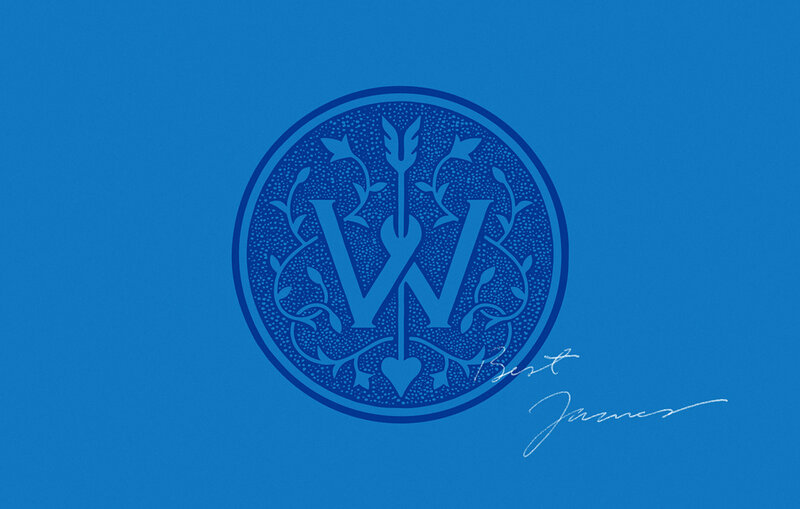 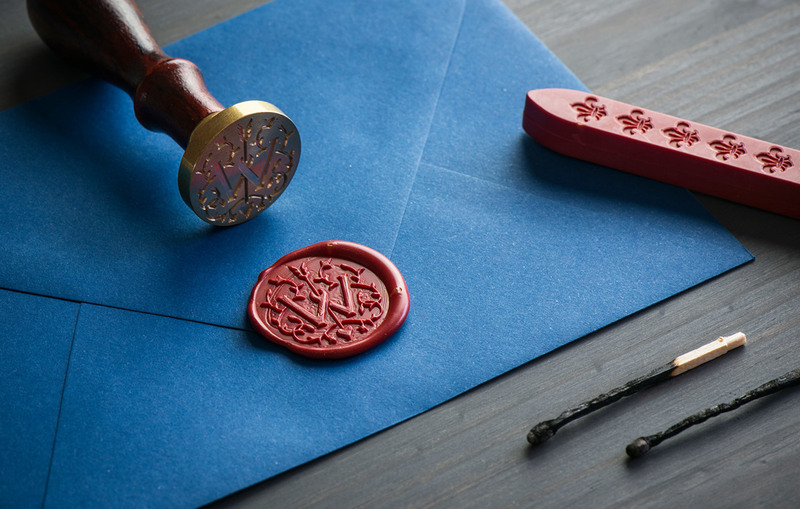 It features Cupid’s arrow intertwined within a stylized wedged W popular at the time. 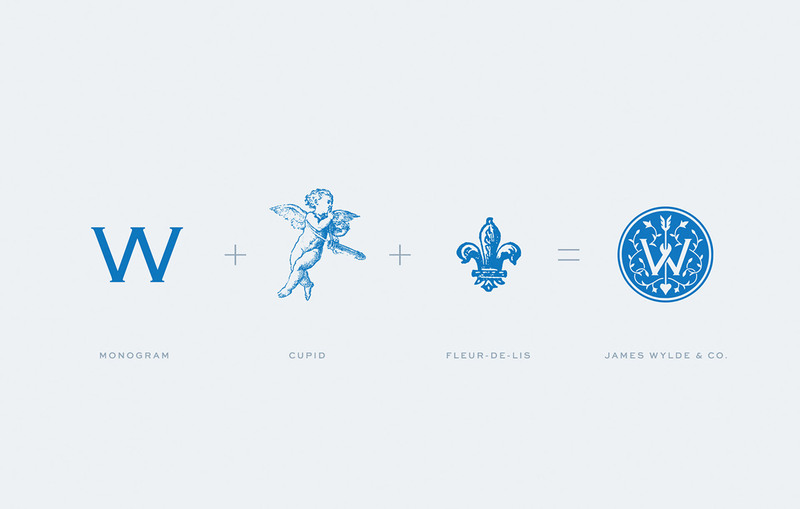 Floral ornamentation featuring fleur-de-lis anchors the monogram and the deep French blue further ties the brand’s inspirations to its roots.